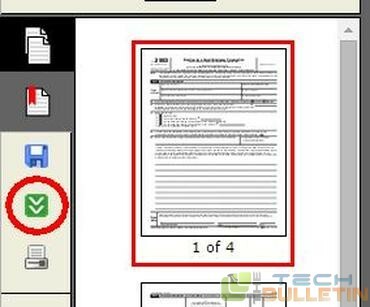 If you wants to add some text to PDF that does not support editing, Here through this article you can get the information how to fill out PDF form without software. Every one knows PDFs are great for sharing documents, but not always for editing them. That’s not too surprising when you consider that a PDF is really just an image, not raw text. And unless the file was generated in such a way as to allow editing (by which I mean the addition of text, like for a form), you often have little option but to print it, fill it out by hand, then scan or fax it wherever it needs to go. There is an online tool PDFescape is a web based PDF reader, editor and form filler, as it is an online tool it saves you from having to install any local software. This online tool PDFescape offers only basic tools for free (a Premium account costs $20 annually), it’s enough to let you fill out a form. Follow the steps given below to know about how to fill out PDF form with out software. First open the PDFescape and click start using unregistered which is at the upper right corner. Click on continue to PDFescape then upload to PDF to PDFescape. Click Choose file and navigate the local folder containing your PDF and then click upload. In short order you should see the PDF. Depending on the document, it may have text fields already highlighted, in which case you can just click inside the ones you want and start typing. Alternately, click the Text button, then click anywhere on the page to place your cursor. Then start typing. When you are done with editing click on the save and download button which is in green color in the toolbar which is at the left side of screen.